This brilliant paintball venue near Bath is ideal for all groups that are looking for a great day out on some amazing paintballing battlegrounds in Bath or surrounding areas. You are certain to have a superb day here as you play your way through a variety of different missions and objectives where planes, trucks and huts are all waiting for you. The paintball Bath rebels have taken up position in a key bunker as they try to escape from you and your sniper unit. The only way to get them out will be to blow the bunker up with explosives. Can one of your team make it to the bunker to place the charges that will destroy their hide-out. Your vehicle convoy has come to a stop as the tracks become impassable in the forest. The enemy paintballing Bath fighters are right behind you so you must decide to either make a stand and protect the vehicles or try and run for cover into the woodland. A chopper that was assigned for your unit has been hijacked in the air by enemy jets and has been taken behind enemy lines. Your elite paintball Bath unit have been dispatched to attack the compound where it is being held and retrieve the chopper back to your base. One of your pilots on a recon mission has been shot down and has parachuted into the jungle. The fear is that he will be captured by the fearsome paintball Bath jungle guerillas. You must get to him first and get him to safety as swiftly as possible. With top quality equipment, fantastic facilities and a great team on hand for your event this is a must play centre. 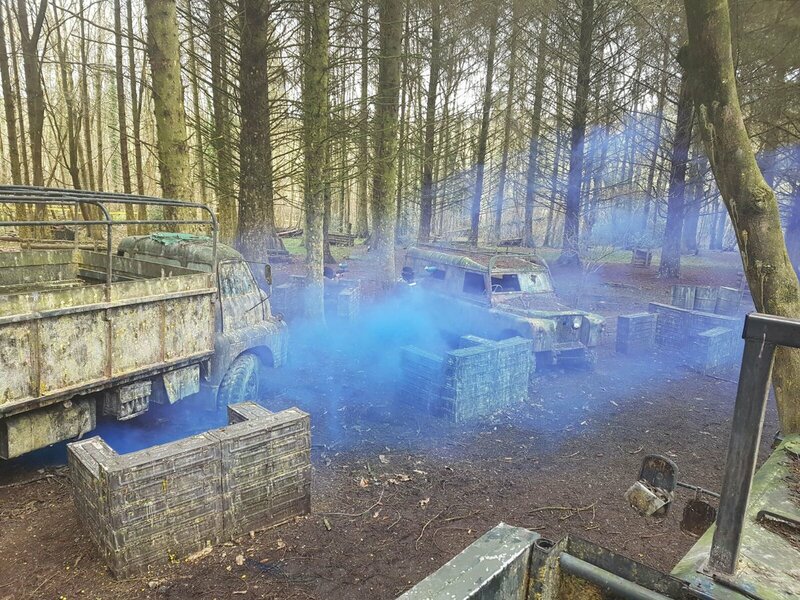 Ideal for birthday days out, as part of an epic stag weekend or you're seeking a fun activity for your corporate event - look no further, this Bath paintball park will deliver a truly awesome experience. A days Paintball starts at 9.15 a.m., with participants kitted out with guns, protective headgear.Guests have access to the themed game zones until 4.30 p.m., giving them time to go head-to-head in around ten to twelve games over the course of a day. Additional paintballs are available for a surcharge. Bedlam Paintball near Bath. 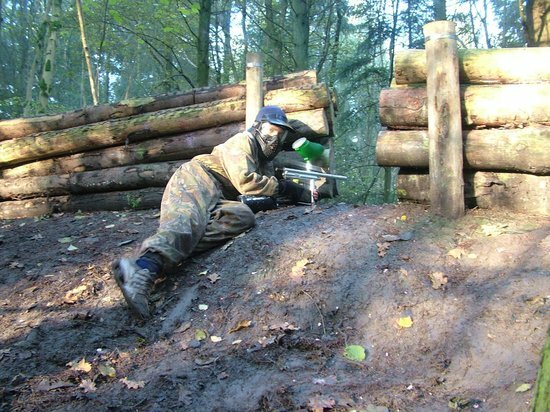 The best paintballing deals near Bath. Go Bedlam Paintballing Bath is a pay as you go package to play paintball in Bath. The package includes entrance fees, game fees, paintball insurance, paintball marker gun, paintball hopper and propellant for the whole day.